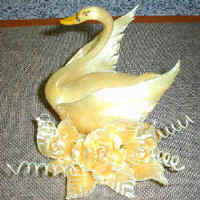 see a bigger picture In this section, PastryWiz will show you, in a step-by-step manner, how to blow sugar to create a beautiful swan. First we show you all the ingredients and supplies that you need. Then we show you all the steps necessary for the cooking, handling, pulling and blowing of the sugar to enable you to create your very own masterpiece. Sugar cooking is not recommended for kids, around kids and for home cooks that have little or no experience in the kitchen. You will get your fair share of blisters!!! Cooked sugar is very, very hot! 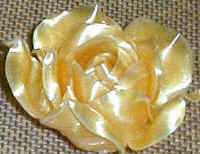 see a bigger picture .. get ready to make sugar roses! A brand new silicone mat has been designed by Ewald Notter making it easy to create a Sugar Wedding Carriage Drawn By Four Horses. Enhance your wedding display or add that finishing touch to your wedding cakes.